Defence Minister Nirmala Sitharaman rejected reports of a shortage of ammunition in the armed forces and called Opposition allegations on the Rafale fighter jet deal “baseless”. Defence Minister Nirmala Sitharaman rejected reports of a shortage of ammunition in the armed forces and called Opposition allegations on the Rafale fighter jet deal “baseless”. She also said defence expenditure had always been rising and there was no paucity of funds. Listing out the outlay and expenditure for every complete financial year from 2013-14, Sitharaman said the funds allocated for capital outlay was the highest in 2015-16 in the last four years at Rs 94,588 crore. The Defence Minister revealed that actual capital expenditures kept rising, reaching the highest in 2017-18 at Rs 90,460.26 crore. She said the actual revenue expenditure of defence had run into lakhs of rupees with 2017-18 recording the highest at Rs 1,82,091.16 crore. “Someone who could not buy in spite of spending quite a lot is saying what you paid is far higher… I can assure you, there is no scam in Rafale,” she asserted while taking a potshot at the Opposition. Sitharaman said there indeed was a shortage before her government came to power. “People who are accusing us today should ask: where did the shortage come from?” said the Defence Minister, questioning the Opposition why they “left the country with an ammunition shortage”. Addressing reporters at a press conference, the minister asserted that there is no shortage of ammunition now because of the funding. “Terror and talks cannot go hand in hand,” added Sitharaman. She said her ministry played no role in assessing whether the ceasefire had been successful or not. “It’s our business to guard the border and we won’t stop if we’re provoked. We shall be alert that no unprovoked attack goes without us responding. It’s our duty to keep India safe,” Sitharaman said. 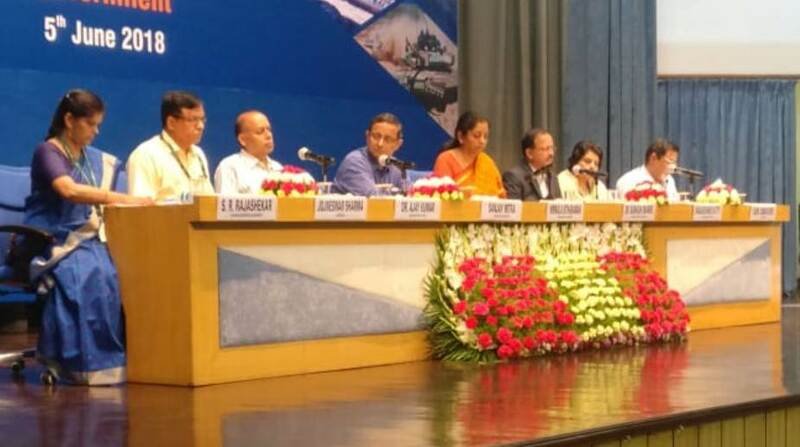 Responding to concerns over opening of cantonment roads to civilians, Sitharaman said that only 80 roads inside cantonments have been opened. “After all meetings, it was found that 850 roads were under closure in 62 cantonments. Out of 850, 119 roads were closed without following due procedure. 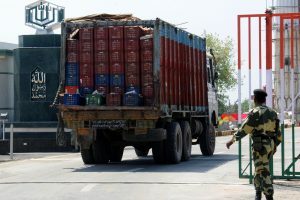 Among those 119 only 80 roads have been opened,” Sitharaman said adding that she held numerous meetings with MPs and elected vice-presidents of cantonments following requests from representatives of various political parties.